Do you want a Tasmanian driving licence? In Australia getting a driving licence takes time, money and a lot of effort. 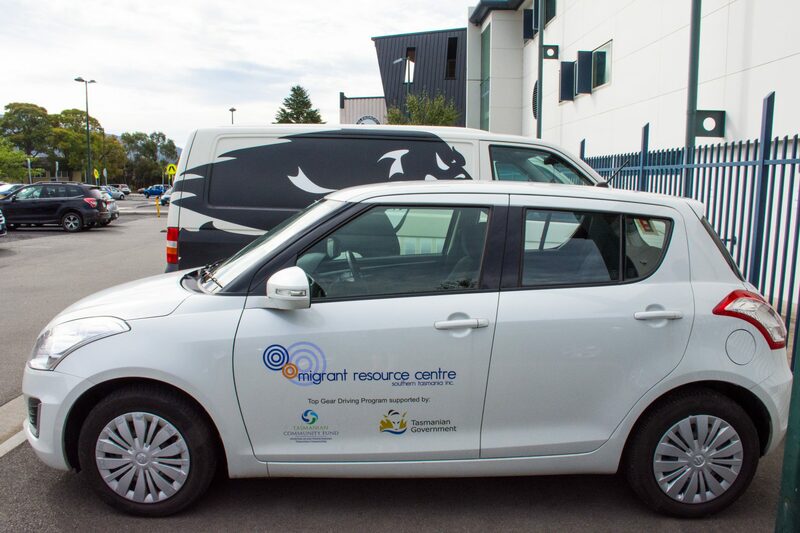 The Migrant Resource Centre Tasmania (MRC Tas) Driving Program can help you at each step so you can get a licence safely and legally. The MRC Tas Driving Program is for people from refugee backgrounds in their first five years of settlement in Australia. To get your Driving Licence you need to study the road rules, have money for lessons, find a volunteer, have the time to do practice, and you need some English. It’s not easy, but it is possible! To help you get extra driving experience and practice, the learner period is split into two parts: L1 and L2. To obtain your L1 Licence, you will need to demonstrate that you have learnt the road rules by taking a knowledge test. The knowledge test can only be undertaken at Service Tasmania. It takes approximately 30 to 45 minutes. To learn about the road rules visit www.thelaw.tas.gov.au or download the road rules book here, you can also view ‘learn to drive’ videos here. You can also come along to Car Café at MRC Tas in Glenorchy. Early higher order driving skills (decision making, scanning and hazard perception). You won’t have to do a minimum number of hours but it is highly recommended that you do 30 hours or more to obtain the skills needed to pass the L2 driving test. It’s up to you and your supervising driver to determine when you’re ready to go for your L2 licence. But only take it when you’re ready or you’ll have to pay again. To move to L2 you must pass the L2 driving test. It takes a lot of practice and experience to pass the L2 driving test so don’t rush. The L2 driving test assesses how well you use the car’s controls, and if your car control skills have become automatic (you can use your car controls without thinking about them). Passing this assessment shows that you have spare attention to spend on developing higher order driving skills which you will need to pass the P1 Practical Driving Assessment. Start noticing and fixing your mistakes. 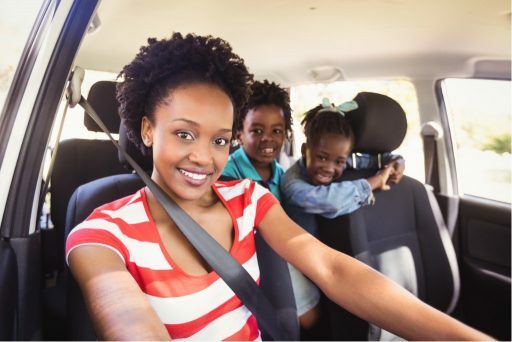 So that you start developing these skills while you’re a learner, you must complete the compulsory L2 logbook and hold your licence at L2 for at least 9 continuous months. To complete the logbook you must do at least 50 hours on-road supervised driving and complete the 8 recommended driving tasks. After this time you may have gained sufficient higher order driving skills to go for your P1 licence. To get your Provisional P1 licence you must pass the P1 driving test. The P1 driving test looks at how automatic your car control skills are and how much spare attention you have. It also looks at your driving decisions and how well you recognise and respond to hazards. Once you have successfully passed your P1 driving test you will obtain your P1 licence. You must hold this licence for a minimum of 12 months. You can not have any alcohol in your system when you drive. Once you have had your P1 Licence for a minimum of 12 months you are eligible to obtain your P2 Licence. We can help you learn road rules with an interpreter and volunteers. This saves you time and money. If you want help with this, visit Car Café, Monday Drop-in or Youth Drop-in, and look at the events page for school holiday programs. It is important that you practice listening and speaking English. This will help you to learn to drive safely with a Driving Instructor or volunteer and pass your test successfully. You can get ready for working with a volunteer by practising conversational English for driving. We can help you understand the different options you have. This can be saving, using a Centrelink advance, or a No Interest Loan Scheme (NILS). The minimum repayment for a NILS loan is $20/fortnight for your first 10 driving lessons. Some driving schools have cheaper lessons when you buy 5 or 10 lessons at one time. If you want help with this, phone us on 03 6221 0999 for information or visit Monday Drop-in or Youth Drop-in. Both MRC Tas cars are automatic, dual-controlled and insured. This is safer for you and for volunteers. If you have your L1 licence, you can get a minimum of 10 free practice sessions with us. You need to pay for 10 lessons with a driving school first. Ask a driving instructor to fill this form out after your 10th lesson, and bring it to MRC Tas Monday Drop-in or Youth Drop-in. If you have your L2 licence, you can get a maximum of 50 free practice sessions. You need to pass the L2 test first and bring your licence to Monday Drop-in or Youth Drop-in. If you have an Overseas licence/learner licence, you need to ask a driving school to assess your skill level as either L1 program or L2 program. Ask a driving instructor to fill this form out after having a practice test, and bring to Monday Drop-in or Youth Drop-in. If you want to use the MRC Tas car for your driving test, you need feedback from a driving instructor that you’re ready to sit the test. Book a practice driving test with a driving school and ask the driving instructor to fill this form, and bring it to Monday Drop-in or Youth Drop-in. You can get this file from MRC Tas or simply print yourself at a Library or Officeworks. We can help you to understand how community members can register as volunteers with MRC Tas to drive with you. The faster you find your volunteer, the faster you start practising. For help you can phone us on 03 6221 0999 or come along to a Looking for a Volunteer Info Session.